A hip hangout with stylish appreciation for history, this bar makes NYC's Upper East Side proud. 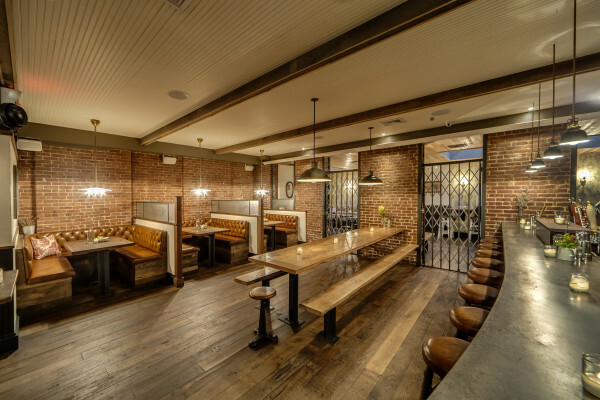 With porcelain tile, reclaimed wood, and exposed brick, this watering hole, known for locally sourced food and well-crafted brews, becomes an instant favorite the moment you step in. 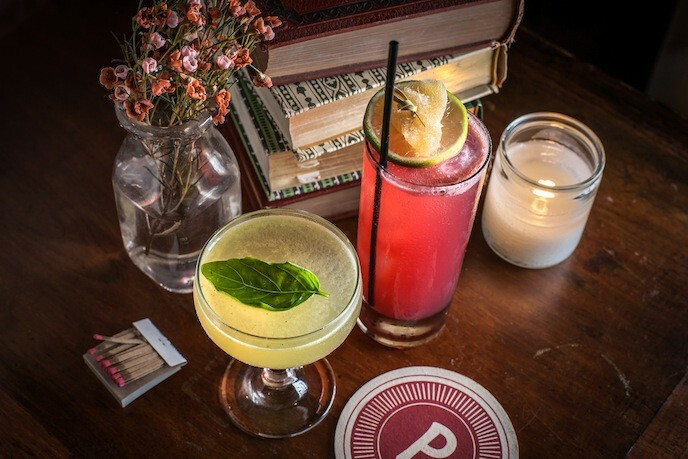 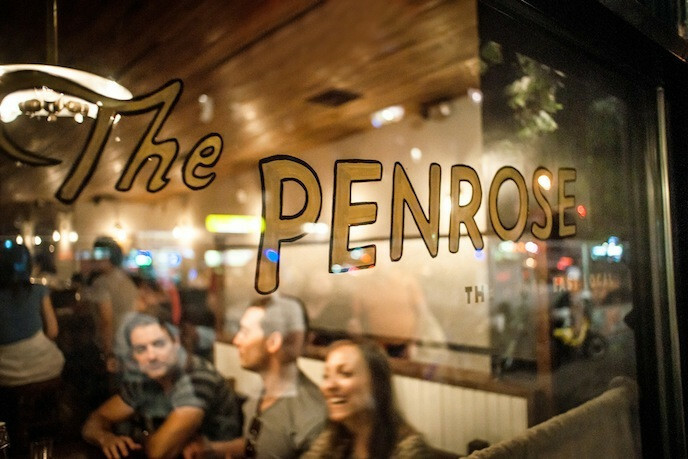 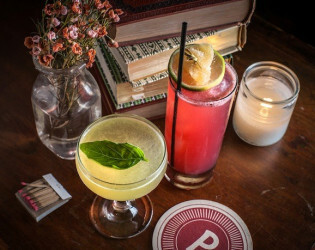 The Penrose is a bar for all times. From its crisp porcelain tile flooring, to its reclaimed wooden interiors and exposed brick walls – The Penrose is a place without pretense. 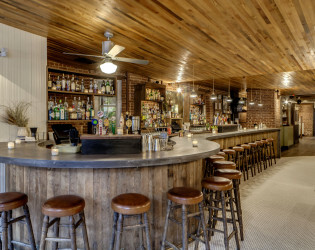 Our food, our drinks, our service and our space are inspired by old American and Cork traditions.We welcome all to come and feel at home in our bar, the Upper East Side Local. 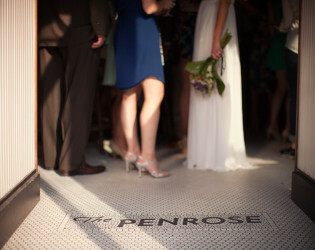 The name "Penrose" was taken from "Penrose Wharf" in Cork, Ireland. 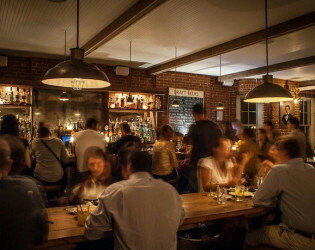 It’s the location of the towns train station that was built over two hundred years ago. 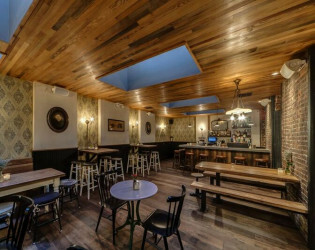 It’s a discreet nod to the Second Avenue subway development underway throughout the Upper East Side. 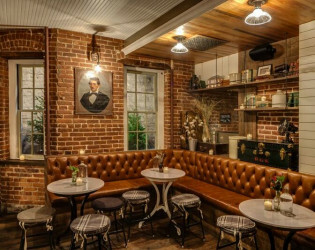 The pillow-lined benches, framed old portraits, and candlelit interior creates an intimate and inviting rustic atmosphere. Everything at The Penrose is old. 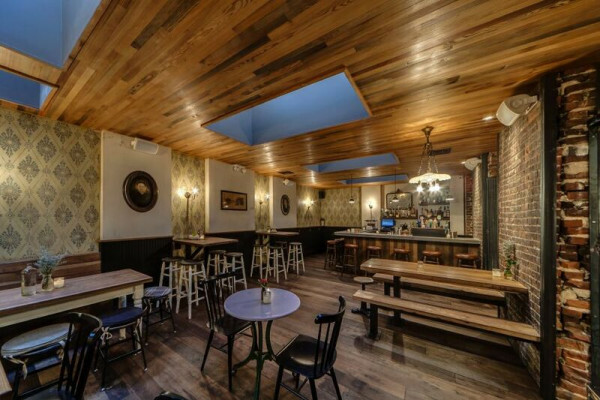 The wooden ceiling - was once one of the oldest water dams in America. 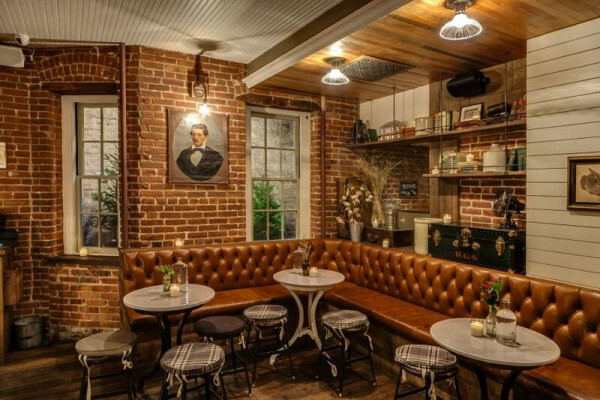 It was originally built in 1812 on the Schuylkill River in Philadelphia. 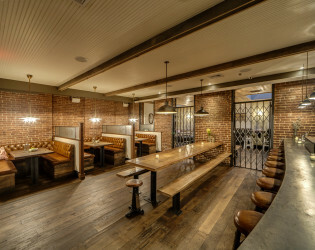 The wood on the floors and under the bar is from the home and horse stables (built in 1839) of early Dutch settlers in Chester County, Pennsylvania. The warm grey and brown tones of the wood are the result of over a century of human and animal occupancy. 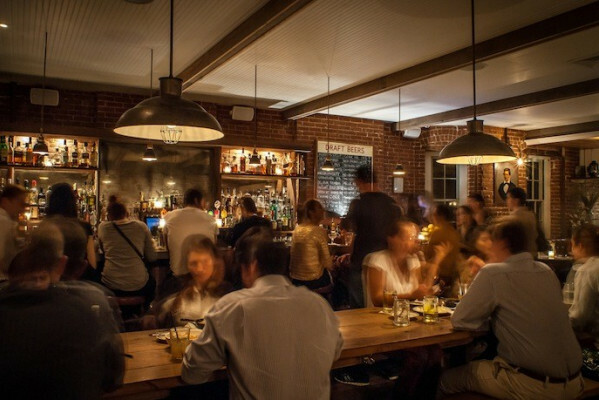 Most of the light fixtures are antiques from the 20's and 30's. 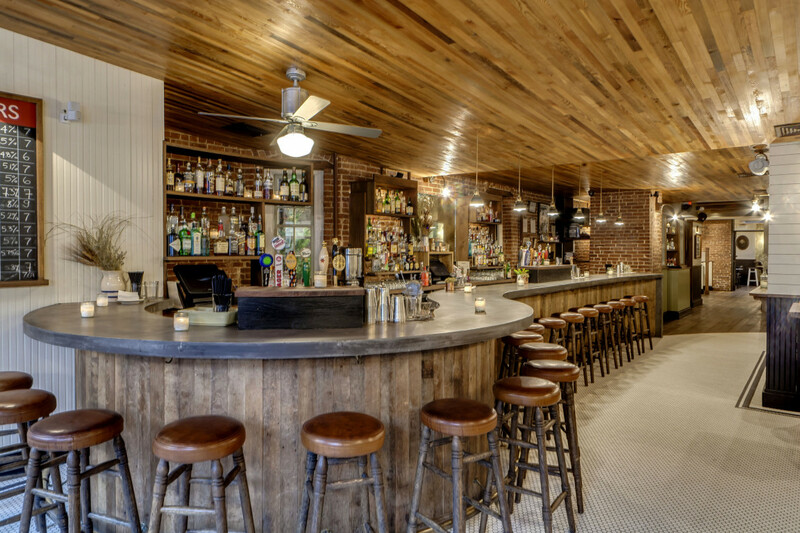 The milk glass tables in the center room are from old ice cream parlors, also from the 30's. The artwork throughout the space was found by a long and arduous process of combing through junk shops and antique stores the year before we opened. 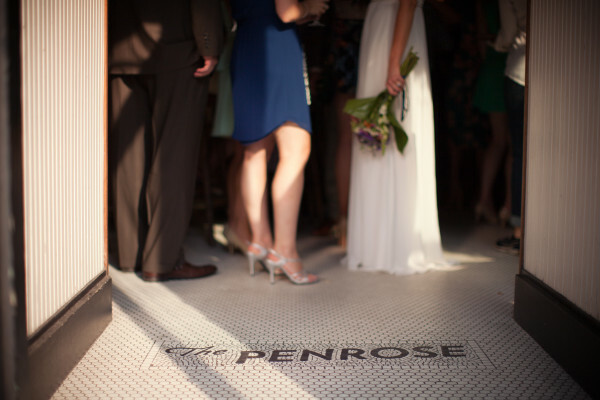 A look into The Penrose. 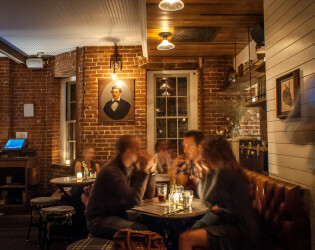 The space is inspired by old American and Cork traditions. 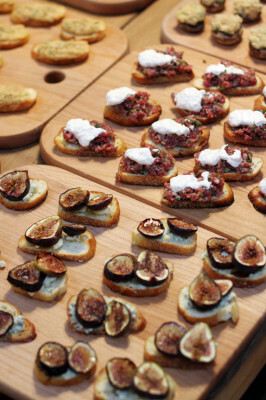 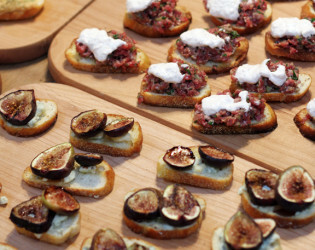 The canapes are just some of the food options available for events. 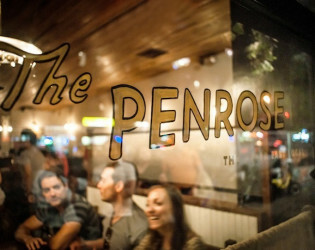 The Penrose a local bar on the Upper East Side. 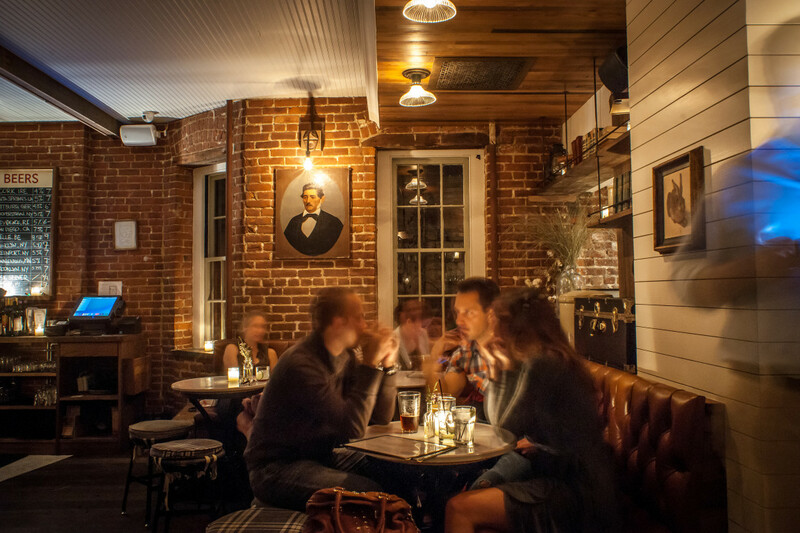 The artwork throughout the space was found by a long and arduous process of combing through junk shops and antique stores the year before we opened. The milk glass tables in the center room are from old ice cream parlors, also from the 30's. 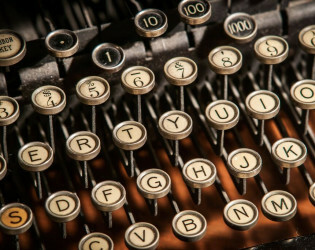 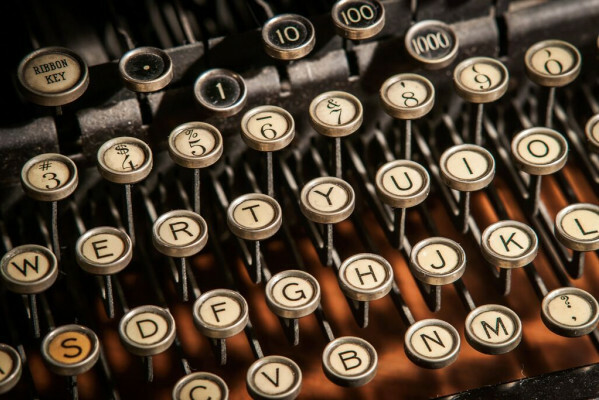 The antique typewriter found in the space helps create the feeling of a station master's office. The Spencer Room can accommodate groups of up to 60. 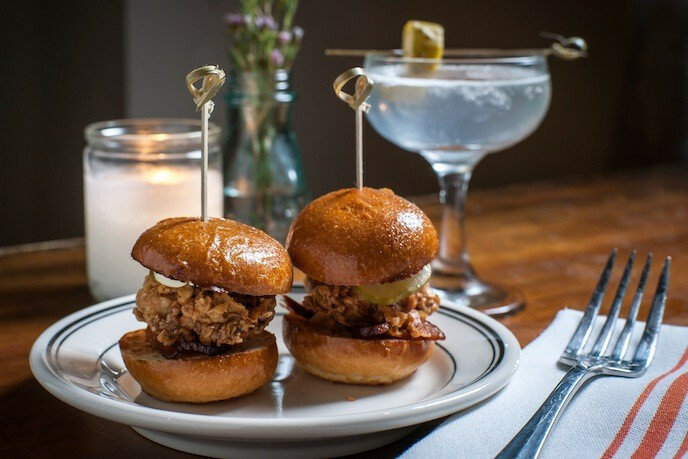 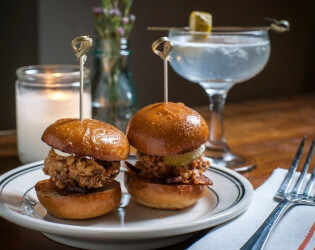 The Fried Oyster sliders go great alongside the Dirty Pickle Martini.